Killing Bin Laden: Hit, Execution or justified military action? (FinalCall.com) - Even as U.S. President Barack H. Obama met May 6 with members of the Special Forces team responsible for the raid on Osama bin Laden’s compound, inconsistencies continued to emerge bringing into question the Hollywood action type narrative disseminated by his administration. At the same time, Pakistani officials have rejected America's roundabout assertions that they've engaged in double-dealing regarding the Al-Qaeda leader's whereabouts. CIA director Leon Panetta told reporters the U.S. chose not to inform Pakistani military officials about the planned raid on Osama bin Laden's compound because they feared members of Pakistan's Inter-Services Intelligence (ISI) would compromise the mission by sharing details. In a May 5 press briefing, Pakistan's Foreign Secretary Salman Bashir categorically denied accusations of complicity and reiterated Pakistan's rights as a sovereign nation. security. I think construing all this in any other manner is wrong, simply wrong,” said Mr. Bashir. “This whole theme of complicity has surfaced periodically at times motivated to pressurize Pakistan to do more. The mantra of do more we have seen over the years has surfaced. It is easy to say that the ISI and elements in the Government are in cahoots with. This is a false hypothesis. This is a false charge. It cannot be validated on any account. It flies in the face of what Pakistan particularly the ISI has been able to accomplish more than any other agency including the CIA,” Mr. Bashir added. Riots erupted around Pakistan on May 6 in places such as Karachi and Abbottabad, where Mr. Bin Laden was found and killed. Anger was kindled not only by the death of Osama bin Laden, but the blatant disrespect of their nation by military forces at the behest of the U.S. government. After nearly 10 years, two wars, trillions of dollars and thousands of lives lost, President Obama stood before the world and proclaimed something none of his previous predecessors could: Osama bin Laden—the Western world's face of terror—had been killed. Raucous celebrations broke out in Washington D.C. around the White House and in Times Square in New York near “Ground Zero,” the site of the 9/11 attacks on the World Trade Center Towers. Chants of “U.S.A! U.S.A!” were heard along with groups singing the National Anthem and “God Bless America.” Celebrations continued into the early morning. However, that euphoria was short lived once inconsistencies began to develop and unanswered questions remained following the Obama administration's narrative of what took place in the military town of Abbottabad. During a May 2 briefing by senior officials from the Obama administration taking place just after midnight via conference call for journalists, it was stated that there was a firefight, and subsequently Mr. Bin Laden was killed. According to Al-Arabiya News, a Pakistani government official reportedly said a 12-year-old daughter of Osama bin Laden said the men captured him alive then shot him dead in front of her and family members. Mr. Brennan was also questioned regarding a point of information floated by Obama administration officials that one woman inside the compound was killed after being used as a human shield. “There was family at that compound, and there was a female who was in fact in the line of fire that reportedly was used as a shield to shield bin Laden from the incoming fire,” declared Mr. Brennan. This assertion was later proven to be false, and as details continued to emerge, it was determined that there was no firefight and an unarmed Osama bin Laden was shot in the chest and head. His body was later taken to the ocean and dumped. According to Obama administration officials, this was done consistent with Islamic burial requirements and rituals. Imam Dawud Walid of Masjid Wali Muhammad in Detroit, Michigan said if those in charge of the operation were truly concerned with handling the body according to Islamic law, they would have turned the body over to the family of Osama bin Laden to allow them to determine what to do going forward. “Specific information hasn't been made public about Mr. Bin Laden's so-called Islamic burial, but in terms of traditional Muslim protocols, it is not acceptable to perform a sea burial,” Imam Walid told The Final Call. “Having the (funeral) prayer being said in English and then having a body disposed at sea is outside of traditional Islamic laws,” he added. In a May 3 briefing held by Pres. Obama's Press Secretary Jay Carney it was said Mr. Obama and his top national security aides received minute-by-minute updates on the operation in Pakistan. Pictures were circulated in the media appearing to show that they were able to watch in real-time as events transpired, however, CIA director Leon Panetta, was quoted in the UK's Telegraph and in an interview aired on PBS saying there was a 20-25 minute period in which they were unable to determine what was going on inside from the live feed on the helmet mounted cameras of the soldiers conducting the raid. The entire operation reportedly lasted approximately 40 minutes. In addition, Mr. Panetta and Mr. Carney said it was the Navy SEALs “on the ground” rather than Mr. Obama, who ultimately made the decision to kill rather than capture Osama bin Laden. This creates even more doubts regarding the dramatic and daring narrative of the raid delivered by the Obama administration. In a May 9 column titled “Obama's Hollow Victory,” outspoken British-born journalist Yvonne Ridley said the way Osama bin Laden was killed and the manner in which the body was disposed of makes it seem as if the U.S. feared bringing him to trial. 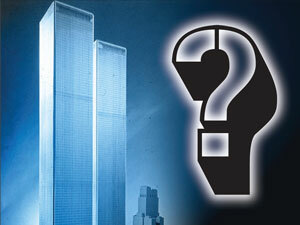 Imam Walid doubts that capturing Osama bin Laden was even an option. “It appeared they had strict orders to shoot to kill,” said Imam Walid. “I don't think the Navy SEALs had any intention of bringing him in for questioning,” he added. With the killing of Osama bin Laden, the continued targeting of Libyan leader Muammar Gadhafi, along with the removal and execution of long-time Iraqi leader Saddam Hussein, it appears as if the United States of America's foreign policy consists primarily of using military force to eliminate those in the way of strategic geopolitical interests. A recent NATO airstrike in Libya killed one of Col. Gadhafi's sons, 29-year-old Seif al-Arab, and three of his grandchildren, all under the age of 12 according to a government spokesman. In the case of Saddam Hussein, in a display of U.S. military might described by then-Secretary of Defense Donald Rumsfeld as “Shock and Awe,” the people of Iraq were punished, Saddam Hussein was hunted down, humiliated and then subsequently executed by hanging. America's use of military force seemingly at every available opportunity and willingness to use torture has many concerned that their nation—viewed globally as an imperialist power—is operating in an unrestrained manner despite whatever noble sounding motives are being used to describe her military interventions. Over the past few years, extrajudicial assassination as an operational strategy was primarily used by the Israeli government through its IDF and its intelligence wing, The Mossad. Increasingly, the United States government is choosing to move away from diplomatic discussions and—like Israel—ignoring the rule of international law opting to use its influence within the United Nations and NATO, to bring forth circumstances which will produce desired regime change. Mr. Feffer said instead of the Obama administration completely outlawing extraordinary rendition— the abduction and secret transfer of a person from one nation to another usually for the purpose of torture—they chose to rely more heavily on the use of unmanned drones in order to simply kill those who would ordinarily be targeted for extraordinary rendition. “The evolution of the Obama administration's policy has been towards targeted assassinations, towards extrajudicial killing in part because, not only does it get around the questions of rule of law internationally, it actually gets around some of the political challenges here in the United States going up against opponents in Congress. If we simply run a policy of targeted assassinations, we don't actually have to sit down with folks in other countries to negotiate settlements nor do we have to sit down with folks here in Congress to negotiate messy compromises about the use of U.S. force overseas,” said Mr. Feffer. Calling America's Joint Special Operations Command (JSOC) “the most elite force within the U.S. military,” Mr. Scahill said the group is in charge of global assassination campaigns striking out at “high value targets” as determined by the U.S. government. In this case, the “high value target” was Osama bin Laden. Mr. Scahill said he found it “disgusting” and “idiotic” that many were cheering outside the White House celebrating Mr. bin Laden's death while ignoring the reaping of the seeds sown by America's foreign policy over the years. “Let's remember here, hundreds of thousands of people have died. Iraq was invaded, a country that had nothing to do with--nothing to do with Osama bin Laden. The United States created a presence in Iraq by invading it, made Iran a far more influential force in Iraq than it ever would have been. We have given a grand motivation to people around the world that want to do harm to Americans in our killing of civilians, our waging of war against countries that have no connection to, and by staying in these countries long after the mission was accomplished,” Mr. Scahill told Amy Goodman of Democracy Now! Writing from Amman, Jordan, Phyllis Bennis, an author and fellow at the Institute for Policy Studies weighed in after hearing news of the raid. “Assuming that was indeed the case, this raid reflects the brutal reality of the deadly wars in Afghanistan and Iraq that preceded it and that continue today, 10 years later—it wasn't about bringing anyone to justice, it was about vengeance,” Ms. Bennis writes. Many were surprised that Osama bin Laden was found and killed in Pakistan, not in the caves of Afghanistan or its mountainous tribally governed regions. Since bin Laden's alleged presence in Afghanistan was the primary reason for the nearly decade long military involvement there, many wonder if it is finally time to end U.S. involvement there. On October 7, 2001, “Operation Enduring Freedom” began in Afghanistan. 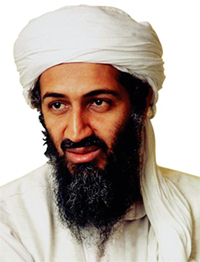 Its goals according to the Bush administration were to locate, capture or kill Osama bin Laden, the members of his leadership cadre and end the Taliban's stronghold in the region. Nearly 10 years later, after inheriting the war, Pres. Obama has committed to significantly reducing the number of troops in Afghanistan in July of this year. According to the NATO International Security Assistance Force, there are a little over 90,000 American troops there currently. According to congressional records, the Afghanistan war costs the United States close to $300 million a day. According to the Pentagon, under the proposed fiscal year 2012 budget, the combined cost for the wars in Iraq and Afghanistan hover around $117.8 billion. After eluding the American military for nearly a decade, human intelligence, military intelligence and geospatial intelligence all went into developing the strategy zeroing in on a compound in Abbottabad, a military town deep inside Pakistan, where Mr. Bin Laden met his fate. Following the attacks of 9/11 on the World Trade Center and The Pentagon, Pakistan received U.S. foreign aid amounting to nearly $18 billon. Pres. Obama in February 2010 requested an additional $3 billion bringing the total to over $20 billion. Despite the financial help and outwardly cordial diplomatic relationship, members of America's JSOC were dispatched to kill Osama bin Laden without consulting the Pakistani government or military, a point of contention for some. As for whether Al-Qaeda withers away and dies like a headless snake, or ideological heirs emerge to carry on Osama bin Laden's “holy war,” Mr. Feffer's opinion is that the group—not being very powerful to begin with—was used to achieve a variety of political goals in the U.S.
“We have cooperated with Al- Qaeda in magnifying its threat. It's in the interests of Al-Qaeda to seem stronger than it is and at certain points it has been in the U.S. interests for Al-Qaeda to seem stronger than it is,” said Mr. Feffer. Forums popular with jihadists posted a statement recently reportedly from Al-Qaeda acknowledging the death of its leader and vowing revenge. Some analysts say Mr. bin Laden's longtime number two man, Egyptian Ayman al-Zawahiri already acknowledged as the theological and philosophical leader of Al- Qaeda will emerge as the world's most wanted terrorist. Others suggest American-born Anwar al-Awlaki, currently said to be a leading figure of Al-Qaeda on the Arabian Peninsula (AQAP) based in Yemen. “It's possible over time that we will see bin Laden transformed into exactly what he wanted which is a martyr and a legend that inspires people around the world,” said Mr. Feffer. “This is the way he would have wanted to go out rather than be captured and put on trial and that sort of thing. As far as Osama bin Laden is concerned, this is the kind of exit strategy he wanted,” he added. Mohammed Shafi q, the Ramadhan Foundation. Mohammed Shafiq, director of the UK-based Ramadhan Foundation, a group working to provide a more positive image of Islam and Muslims, appealed for “calm and extra vigilance.” Reflecting the views of many, he said he would have preferred a trial for Osama bin Laden.